Apple Records was a sub-division of the Beatles’ Apple Corps project, which in practice was established as a small group of companies (Apple Retail, Apple Publishing, Apple Films and so on). 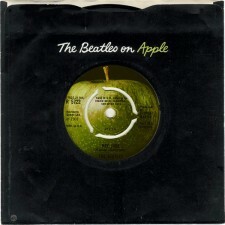 The label’s trademark green Apple logo appeared on albums by The Beatles and other artists the band had personally discovered or supported, and in most cases one or more of the Beatles would be involved in the those recording sessions. Some of the notable artists signed in that first year included James Taylor, Mary Hopkin, Billy Preston, The Modern Jazz Quartet and Badfinger (formerly known as “The Iveys”). The Hey Jude/Revolution single was released on August 30, 1968 and marked the first appearance of the Beatles new Apple label. The 45 went on to become the largest selling single of their career. On 22 November 1968 “The Beatles” became the first album released on the newly formed Apple label. At this time, the Beatles were contracted to Parlophone in the United Kingdom and Capitol Records in the United States. In a new recording deal, EMI and Capitol agreed to distribute Apple Records until 1975, although EMI retained ownership of the Beatles’ recordings they were issued on the Apple label and carried Parlophone R-prefixed catalogue numbers. Apple Records owns the rights to all of the Beatles’ videos and movie clips however, and to the recordings of other artists signed to the label. 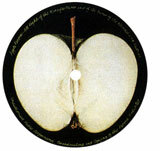 The standard Apple album and single labels displayed a bright green Granny Smith apple on the A-side, while the flipside displayed the apple cut in half. The bright green apple returned for Beatles CDs releases in the 1990s, following initial CD releases on Parlophone. 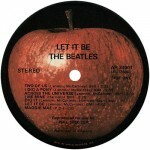 However, on the U.S. issue of the Beatles’ “Let It Be” album , the granny smith apple was red . The reason was that in the United States , that album , being the soundtrack to the movie of the same name due contractual reasons , was being manufactured and distributed by United Artists Records and not Capitol Records, so the red apple was used to distinguish the difference. 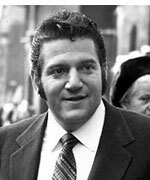 In 1969, the Beatles were in need of financial and managerial direction and Lennon was introduced to Allen Klein (see left) through Mick Jagger, as Klein was managing The Rolling Stones at the time. Klein went on to manage Apple, by virtue of his three-to-one support from the Beatles, Paul McCartney the only group member opposed to his involvement. After Klein took control of Apple, several sub-divisions, including Apple Electronics, were shut down, and some of Apple Records’ artistic roster effectively dropped. Thereafter, new signings were not so numerous, and tended to arrive through the individual actions of one or other Beatle or ex-Beatle, with the others’ formal approval. (Elephant’s Memory for example were recruited through John Lennon, Ravi Shankar through George Harrison etc.) Paul McCartney had little input into Apple Records’ roster after 1970. During the 1974 proceedings dissolving the Beatles as an entity, a court ruling decreed that eighty percent of all profits from Beatles albums (as a group) would accrue to Apple Records, and five percent would go to each of the four members. The label consistently made a profit through 1984, mostly through continued issues of old Beatles records, then lost money for several years. 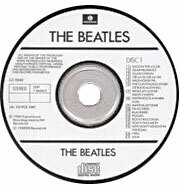 Original U.K. versions of all standard Beatles albums were released worldwide on CD in 1987 and 1988 on the Parlophone label with no Apple logo. 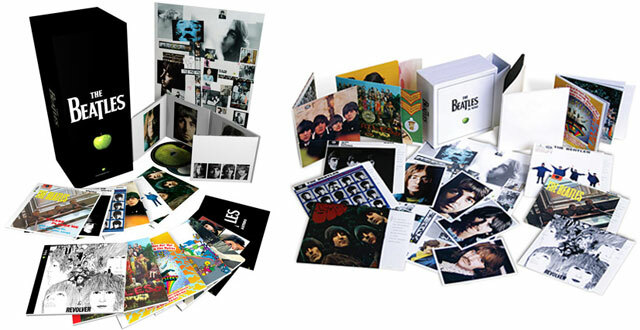 Music lovers everywhere herald the release of the catalog of world’s greatest band, The Beatles, on compact disc. At the time, the CDs seemed like a revelation. Free of the pops, crackles, and limitations of the LP format, for many it was like hearing the band for the first time. For others, the discs were a disappointment. Some were upset that the albums were not the US releases they grew up with, but instead the original UK releases. Others complained about the stereo and/or mono mixes used or the album being inferior. Still others were upset at the fact that the discs contained no extras, bastardized the original packaging of the albums, contained no bonus tracks, and cost too much (typically $15 or more for 25 minutes of music on some of the albums). It was not until the BBC sessions and the Anthology series that Apple labels started appearing on the CDs. Subsequent releases have either been the familiar Apple label or at least had the Apple logo. In the time since then, the Beatles contemporaries like Led Zeppelin and the Who have seen their catalogs remastered and reissued sometimes three or four times, each with cleaner sound, more bonus tracks and better liner notes. Artists that first released albums in the years following those original Beatles CD issues have seen their albums remastered and reissued, not so with the Beatles’ catalog. Apple Records has sporadically over the years issued out-takes, a few hits compilations, and the original American vinyl LPs on CD, but left those original UK albums untouched. 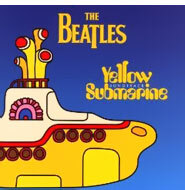 Not until September 1999 did the fans get a taste of what was to come when Apple released the Beatles “Yellow Submarine Songbook”. Each cut on this CD release benefited greatly from the meticulously reconstructed digital stereo remixing. Little did the fans realize at the time that the wait would be another ten long years. 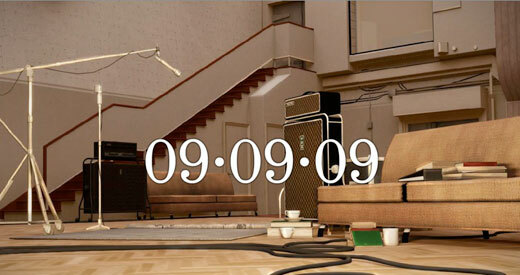 Left: Widely used promo for the highly anticipated September 9, 2009 release of the Beatles remastered catalog. In April of 2009 Apple made the long awaited announcement that the much maligned original CD issues would be put out to pasture and replaced with a newly remastered catalog to be released on Sept. 9, 2009 along with a Beatles version of the video game Rock Band.